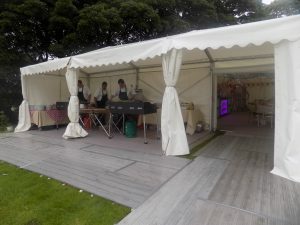 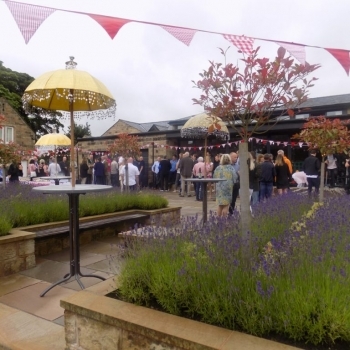 Kwizeen, over the years, has done many delicious bbq catering services in Lancashire for a variety of occasions including corporate event catering to celebrations for family and friends in your garden to Marquee wedding barbeques. 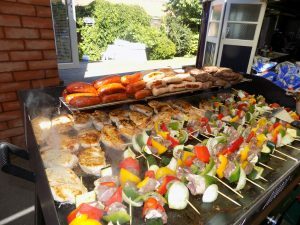 We carry a range of barbeques in stock, so bbq catering for larger numbers is not a problem for us. 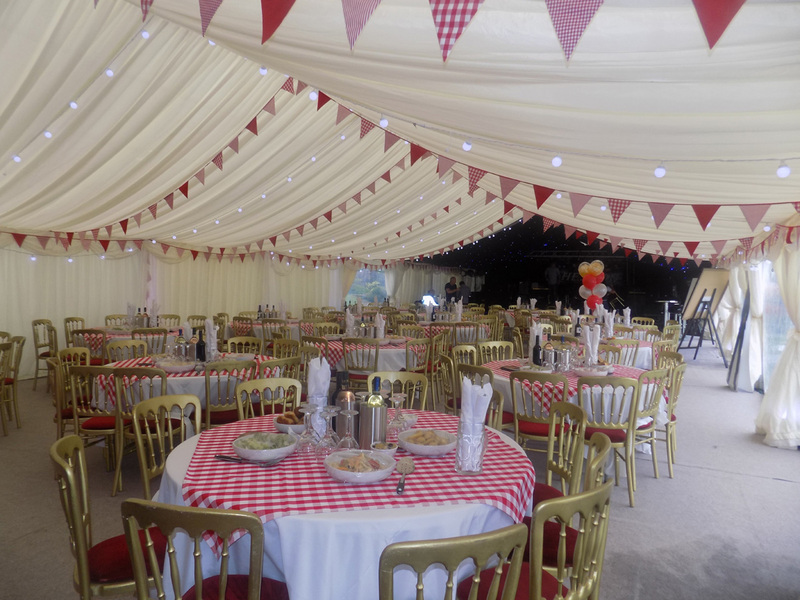 When we are catering for outside barbeques we supply the cutlery, napkins and white porcelain plates. 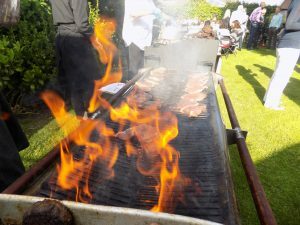 We also clear all dirty items away which makes your barbeque event effortless for you. 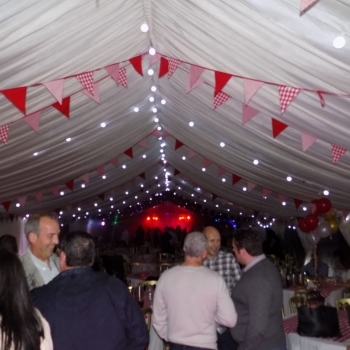 This way we give you the time to enjoy yourself with the guests in a relaxed mood. 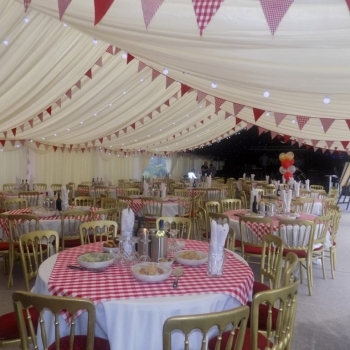 When looking to hold a barbeque the first element we are looking towards is for example where and when are you planning to hold your event? 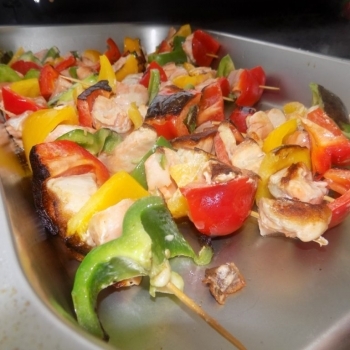 The number of items you would like on the barbeque, salads and style and even desserts. 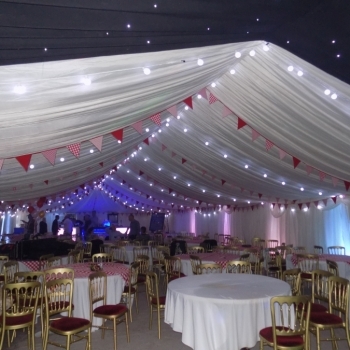 We would also need to know the size of the venue and the number of guests. 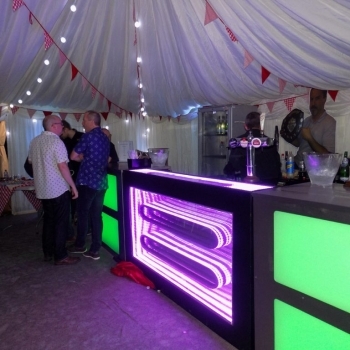 If the event was large enough you may wish to consider using our mobile bar hire service. 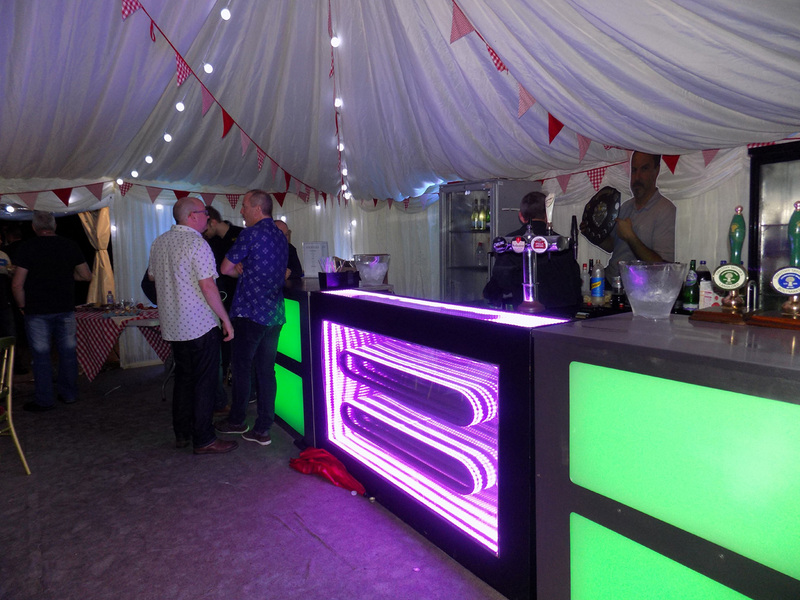 Our mobile bar can be colour co-ordinated to suit your event. 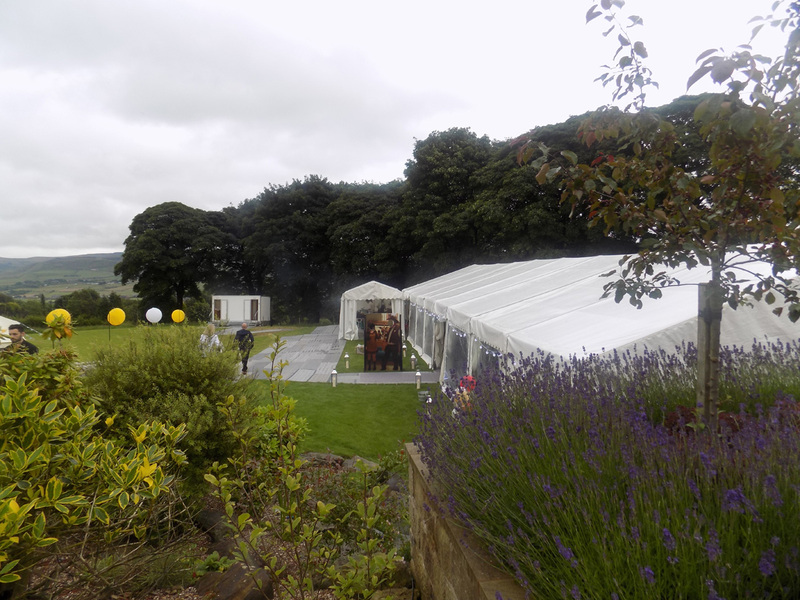 We also have display fridges, we supply all glassware and we even have a mobile glass washer onsite to cope with volume. 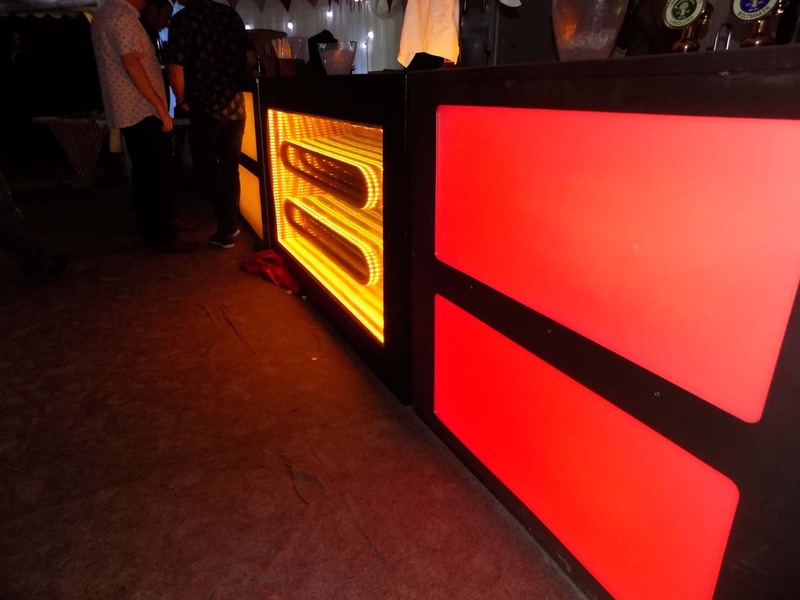 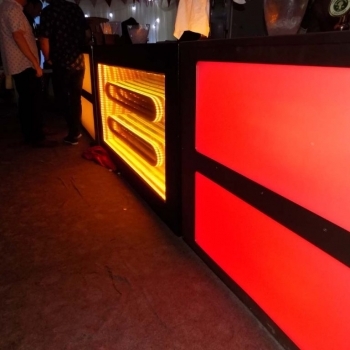 In some cases, some of our clients like to have the led mobile bar in place with our staff serving their guests and on the other side the offsite barbeque with their family and guests being served while enjoying a glass of chardonnay. 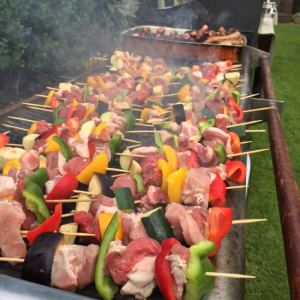 The key areas we like to focus on when outside catering for a Barbeque in Lancashire for your event is location, food safety, your enjoyment and accessibility. 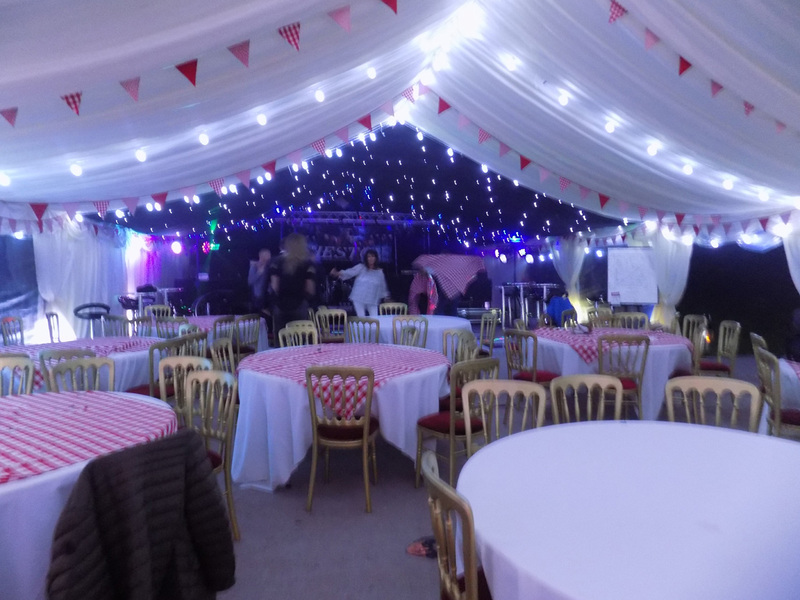 We look every time to make you totally redundant as an operator at your own event sot hat you can relax. 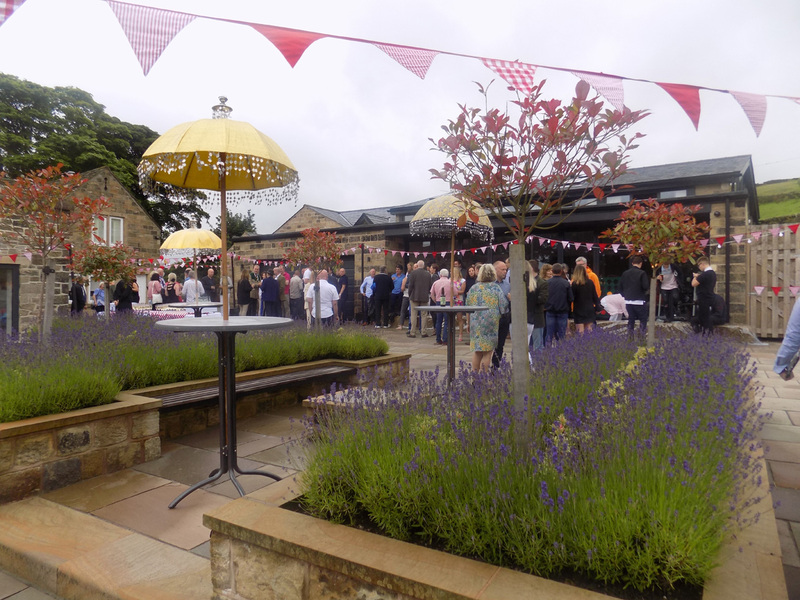 Our clients have often told us “ I feel I should be doing something”. 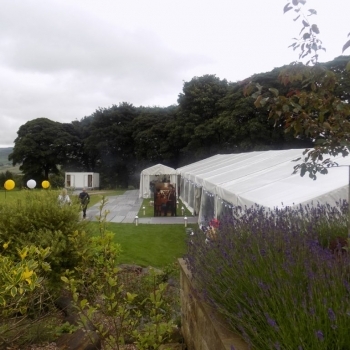 We totally understand that view! 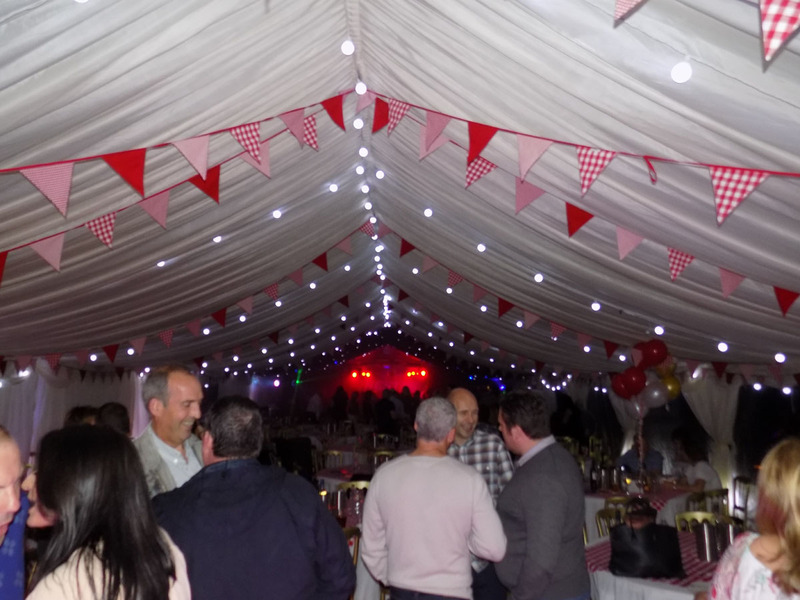 However, what we do, is take all the stress away from you, put the enjoyment back into you holding the party and actually enjoying it. 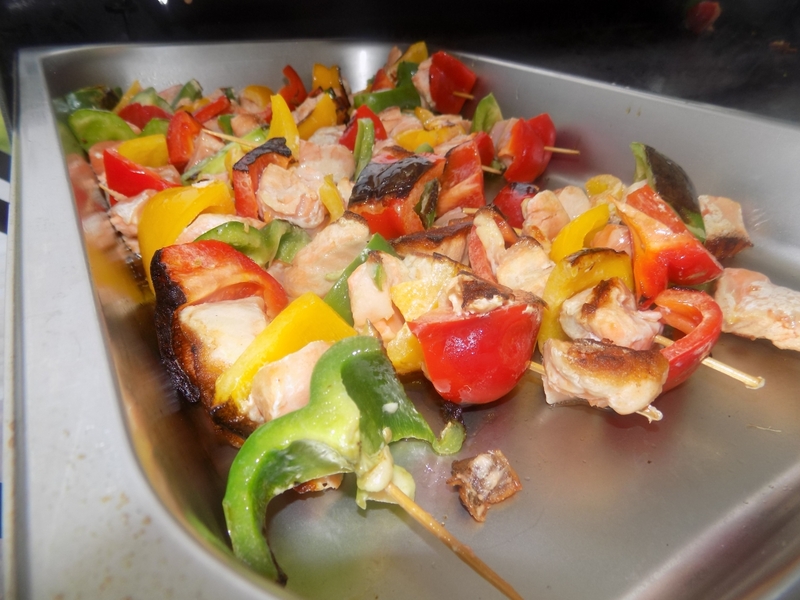 This is opposed to either cooking at the barbeque, being unable to talk easily with your guests and being burnt at the same time! 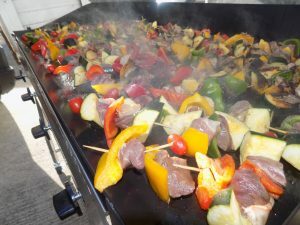 Importantly you will want to be holding your barbeque catering event in style. 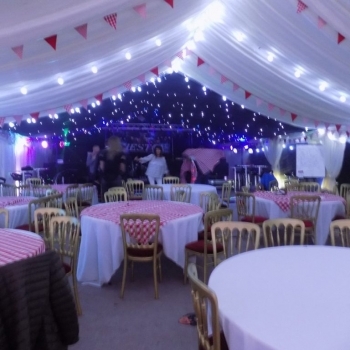 The hardest part, in our experience, for our clients is the part where they are not running around, they are not getting stressed out and only checking over what drinks to supply for their guests. 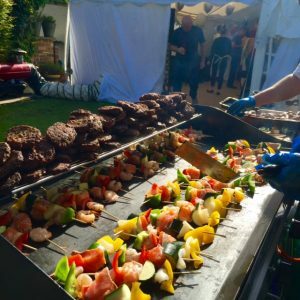 The only other part our clients may be stressed out about would be that they struggle at first is not physically having to doing anything, but once they have understood this concept, they soon relax and become very used to this role and sit back and enjoy the experience and get them ready for the Barbeque event. 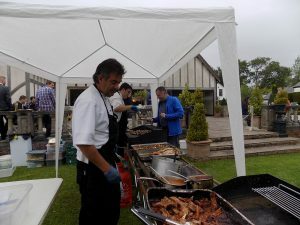 When looking for Barbeque outside catering in Lancashire and beyond, just call and ask for Marco. 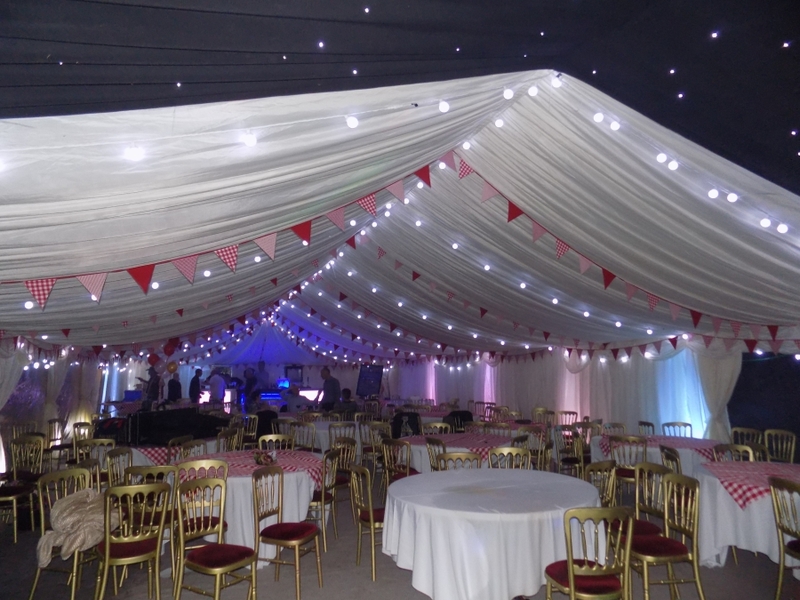 Contact Marco at Kwizeen on 01253 290045 or use our secure on-line form.